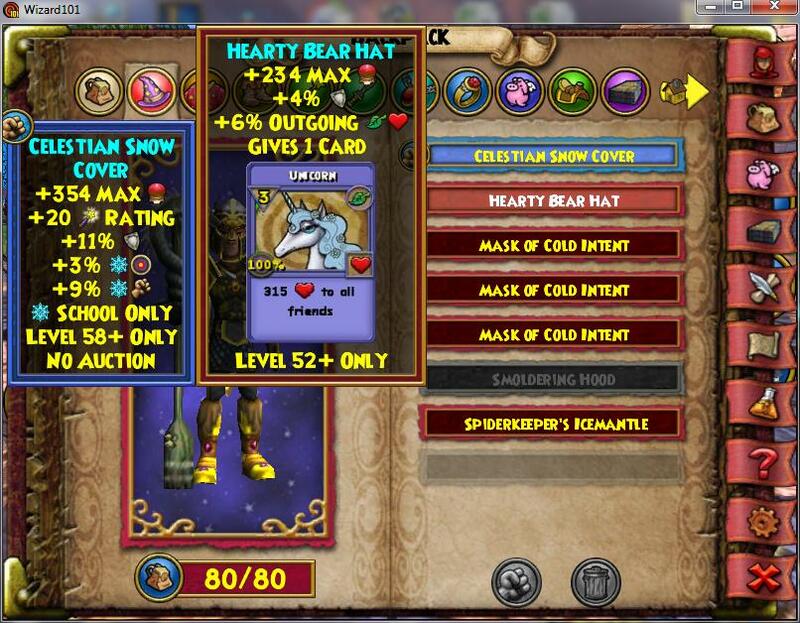 So lucky him he bought the ONLY Tempest hat lol. 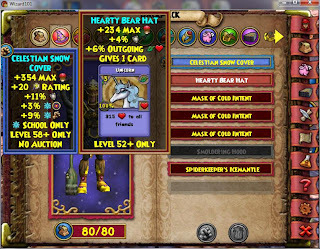 He might have gotten that but I got a limited edition.... *Pauses for dramatic effect* UNICORN HAT!!! 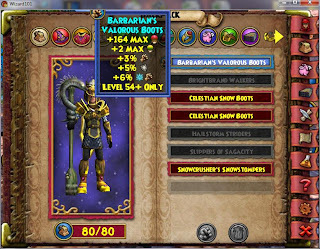 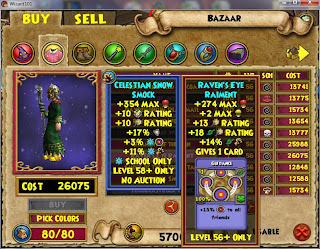 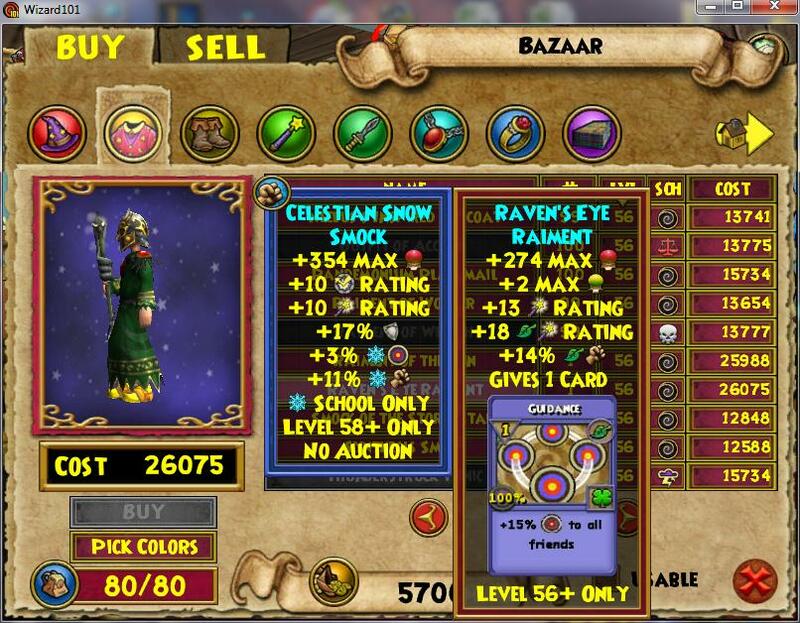 lol It is pretty sweet plus I got a pair of boots that give ice attack and also attack for all schools xD There are also some new robes that give a dispel card with sweet stats.